Beautiful Example of Georgian Architecture in the heart of the Georgian Harbour town of Aberaeron. 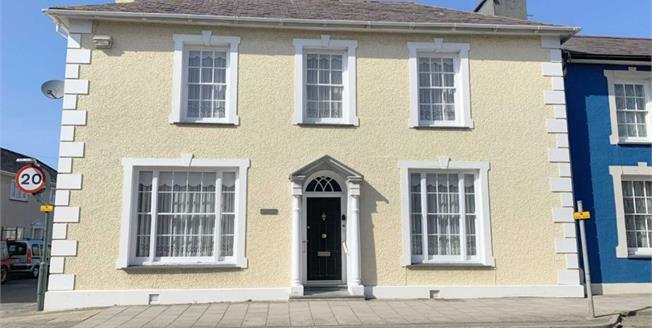 This Grade 2 Listed premium property enjoys prime position within level walking distance to the sea front. Upon arrival prepare to be immediately charmed by the high ceilings and spacious rooms of this substantial property has easy flowing living accommodation, with 3 reception rooms, a Kitchen/Dining Room and basement, the first floor offers 4 double bedrooms a family bathroom and an Ensuite. A pretty walled garden provides a private place to sit out and enjoy, the property also benefits from a sought after double garage. This lovely family home, still retains the character of its former era and boasts one of the nicest locations within the town. Internal viewing is highly recommended.